​A few years ago, the market price for oil and gas dropped significantly because of various factors such as oversupply of the minerals, declining demand, and the unwillingness of the OPEC to stabilize. Then, you could purchase an oil and gas barrel for less than $50. However, the decline in prices can be attributed to the unstable movement of demand and supply of oil and gas. The re-balancing process also seemed to take forever, compelling well investment firms to hold back their investments. The oil and gas environment has become extremely volatile. Hence, companies must come up with viable strategies to optimize operations, cut costs and try as much as possible to reduce additional CAPEX. The use of modern technology in oil and gas sector has unlocked immense values and opportunities for assets and operations, ensuring energy firms survive in the ‘new normal’ period of low oil and gas prices. Technological advancement in the oil and gas field has allowed for new explorations and improvements such as the optimization of supply chain logistics, cloud adoption, asset management, legacy modernizations, and asset management. This article shares crucial information that every investor should know. As an investor, you want to invest in a company that is ready to adopt new technology to open up new revenue opportunities. So, how has technology improved the oil and gas industry? ​Most well drilling companies such as drillco have placed rigs on standby due to a drop in oil and gas prices. Competitively speaking, inefficient machines are idled, while competitive rigs continue to work. Advanced drilling methods allow the same equipment to drill deeper and faster. While drilling rigs have reduced drastically, drilled wells have reduced at a negligible rate. Thanks to modern techniques, rigs can drill several wells from one pad. Despite the low oil prices, the past two years has seen drilling efficiency improving significantly. In fact, experts predict that drilling efficiencies will become more effective in the future. M2M (Machine-to-Machine) technology allows both wired and wireless devices to communicate effectively. M2M technology has grown tremendously. Before, the technology was supported by telemetry, a technology that enabled system administrators to measure and report relevant information. SCADA (abbreviation for Supervisory Control and Data Acquisition) systems use telemetry technology to control and track remote facilities. What is a SCADA system? SCADA is any application that can control and track the operating data. The application can be a pipeline compressor, a water filtration system, petrochemical distillation process, and so on. It can be described as a means to an end. The main goal of any business is to optimize return through exceptional operational performance. M2M, telemetry, and SCADA solutions are crucial in oil and gas industry, and are widely used in processes such as pipeline monitoring, fiscal metering, as well as drill and well monitoring. Wireless solutions such as satellites and private radios can provide cheaper online connectivity that deliver exceptional availability and performance. These solutions ensure proper equipment management, operation management, and enable active connection between remote equipment and IT systems. ​Cloud computing has had a considerable impact on various disciplines such as retail, education, and healthcare. Cloud technology allows companies to access large data faster and with much ease. Furthermore, system operators can quickly analyze and monitor data. Also, implementation costs are much cheaper than on-premise solutions. Cloud computing has the same impact on oil and gas industry. Sadly, the industry has been somewhat unresponsive to the technology as compared to other sectors. Experts claim that oil & gas investment firms stand to benefit the most from cloud technology. Before, it was costly to implement new technology, but cloud computing is perhaps the cheapest, yet the most useful technology in oil and gas. To use cloud technology, you only need to buy software and maintain hardware. Small businesses can now take advantage of the pay-as-you-go pricing plans. It is not only affordable to use cloud technology, but it also helps to address the issue of transfer of retired staff to new staff. You might be wondering how exactly computer technology is crucial to oil and gas? As you may know, operations in the industry are technical and intensive. A faster method of sharing information between the office operators and field experts ensures oil well processes are adhered to. It also reduces downtime risks caused by delays and miscommunication. The staff in the drilling and completions department can now complete forms faster as they can easily access files in the cloud. Data is stored in the cloud for easy retrieval. Also, you can access the Request-to-Tie in and Request-to-Drill forms from your mobile phone, thus reducing downtime and enhance production processes. 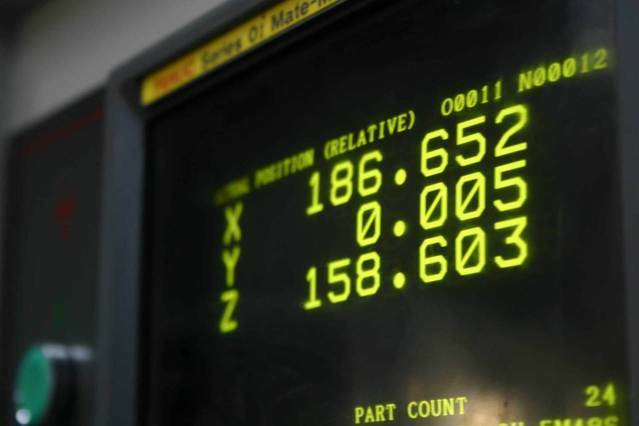 ​Analytics are typical in the oil and gas sector. For many years, oil and gas companies have been analyzing vast chunks of data to understand potential of their reservoirs, as well as other opportunities. In the past, a majority of energy companies could not exploit the full potential of enterprise data because of the inability to come up with viable insights. However, things are starting to change as the industry continues to embrace new digital capabilities that are set to improve the way companies translate ideas into working models. In the near future, oil and gas companies will be expected to save a lot funds in production costs and see dramatic improvements in revenues. In addition, firms will be able to keep unit costs by introducing new tech to the remote offshore operations center. Also, energy firms save a lot of money on operational costs per barrel by using selective applications in oilfields by sharing real-time data and cloud computing at all levels of production. This is good news for oil & gas investors, senior management, as well as property owners as it promises business sustainability and constant revenue. The oil and gas industry is promising, and it is here to stay. If you are looking for alternative investment opportunities, you should consider this one. Do you want to invest in oil and industry today? Contact united exploration for more information. Note nothing in this article is to be considered tax or investment advice. Please consult with your attorney and tax professional.